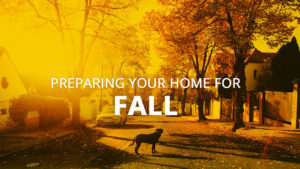 Fall is not only the time of colorful forest trails and misty mornings, it’s also a good time to take care of the little things that will help maintain your home. Most of these things you can handle yourself and even if you choose to hire professional services it’s well worth the expense. This should be done once a year and fall is usually the best time for it as you’ll be using it a lot more in the colder months ahead. Hire an HVAC contractor to test for leaks, change the filter and do a carbon monoxide check. Go over all your homes safety devices and see if they’re working correctly. Check your smoke and CO2 alarms. They should be fully dusted and have their batteries changed. Also, check your fire extinguishers to be sure they’re working properly. With winter fast approaching now’s the time to improve your home’s insulation. With better insulation in your attic and walls, you’ll be able to keep cold drafts from coming inside your home. This will improve your energy efficiency as your furnace won’t have to do overtime. A careful inspection from the ground with a pair of binoculars should do it. Check for any missing, loose or damaged shingles. If you can, try and get on the roof for a closer look. You can do repairs yourself or hire a contractor to do it. Make sure your well stocked up on firewood. If you gather your own make sure their dry and store them in a dry location or under a tarp. For safety reasons, it’s better to store them away from the house. Not the most pleasant job but it’s something that has to be done. Get a ladder and start removing leaves, nests, and debris from the gutters. You can always hire a contractor to save you doing it yourself. If you live in a colder climate you may need to drain and service your irrigation system. Have a professional do any repairs and store away what you can. This goes for garden hoses as well. Outdoor faucets should be shut off and valves closed off. Although winter may still seem a long way off now is the best time to prepare. Follow these tips and anything else your home might need. You’ll feel grateful once the first snow begins to fall.